A small drop in fuel poverty levels announced by the DECC a few days ago has already been challenged by a charitable organization, a news report could recently reveal. Statistical figures released by the Department for Energy and Climate Change (DECC) suggest that, in 2012, around 10.4% of all English households (or 2.28 million) spent more than 10% of income on fuel. This is only slightly lower than 2011, when the estimate figure was set at 2.39 million households. However, charity organization National Energy Action suggests the falling trend is already being reversed. Jenny Saunders, Chief Executive, says: “Whilst the number of fuel poor households in England fell marginally in the year up to 2012 it is projected to increase again by 2014 up to 2.33 million. 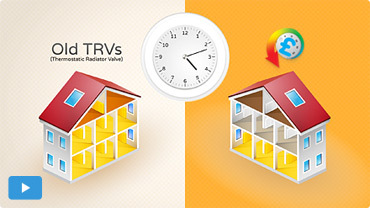 The HeatSave thermostatic radiator valves represent some of the easiest to install and most cost-effective energy-saving measures out there, as they enable users to set specific functioning times for each valve, and, since radiators are individually controlled, home owners are fully capable to maximise the zoning potential and reduce energy consumption in those areas that are not used for longer periods of time (as for example, dining or sitting rooms and kitchens during the night, etc.). 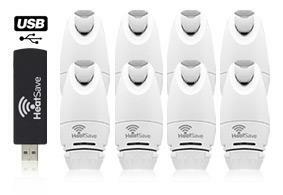 All in all, the HeatSave TRVs enable users to achieve some pretty impressive savings, as they will help reduce your heating bills by up to 30%.